OCast reuanada, revanada, Eng 1. slice of bread. 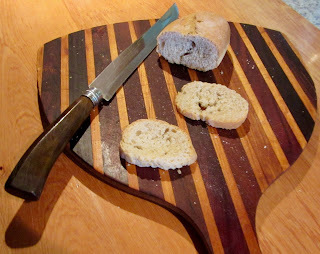 It is interesting to note that Spaniards advise one to break bread by hand but the word “rabanada” is used to describe a slice of bread cut with a knife when serving bread with meals or snacks. It was customary to put slices of bread in soups called “soppes” or “sowpys dory,” (golden soppes) in England as they were toasted. Also slices of bread were used to sop of soups. 2. trencher, a slice of coarse, stale bread, used in lieu of a plate. Although wooden plates began to appear in the 15th C, trenchers were common in noble and humble homes in northern Europe. More trenchers were changed during the meal for those of higher status than those beneath him. As per the English custom, piles of them were placed on the table next to the lord of the house. Gázquez indicates that according to the Chonicle of Alfonso XI trenchers were put on plates in Spain. As in England trenchers that were not eaten were given to the poor after the meal. Hispano Arabs did not use trenchers as all ate directly from a common bowl or platter placed in the center of the dinner table. They did consume a dish called Tharid, which consisted of pieces of meat and vegetables with toasted slices of bread. 3. Slices. 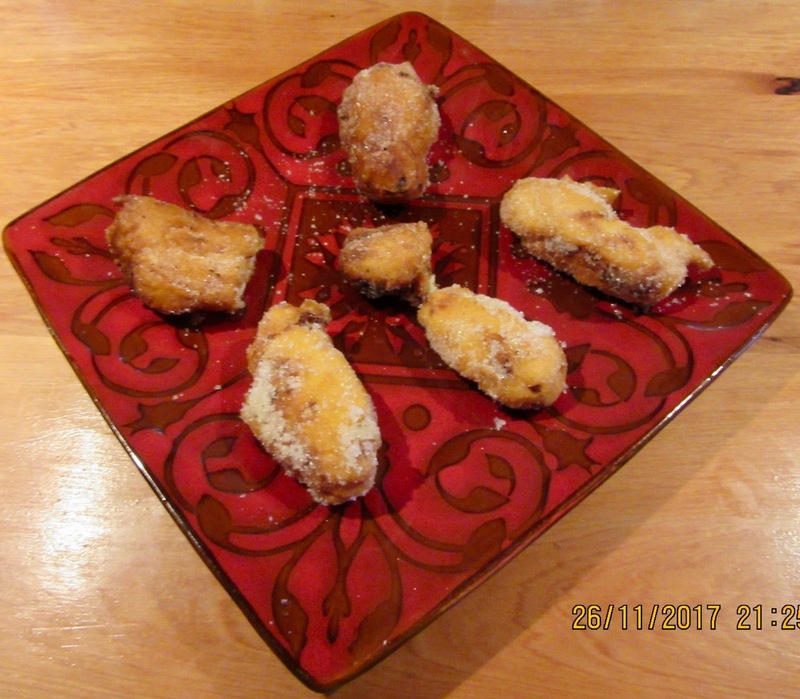 Nola provide a recipe for slices of cheese wrapped in dough and fried. 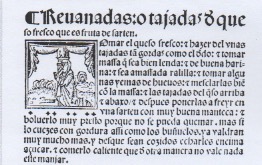 It is very similar to medieval recipes called "Angel's Food" found in Sent Soví CLVIIII, 173-174 and Nola xiiii-5. See a uno mano, published Nov 10, 2010; andando cocinando, published March 10, 2011 for Nola's recipe for soppes with slices of bread and alforfón published July 27, 2011 for another version of Cream Case Fritters; and cebrero published Mar 10, 2012. Slice cheese into pieces as thick as a finger. Make dough with flour, yeast and water and let rise. Kneaded well. Add egg yolks to it and knead well. Dip the slices of cheese into the dough. 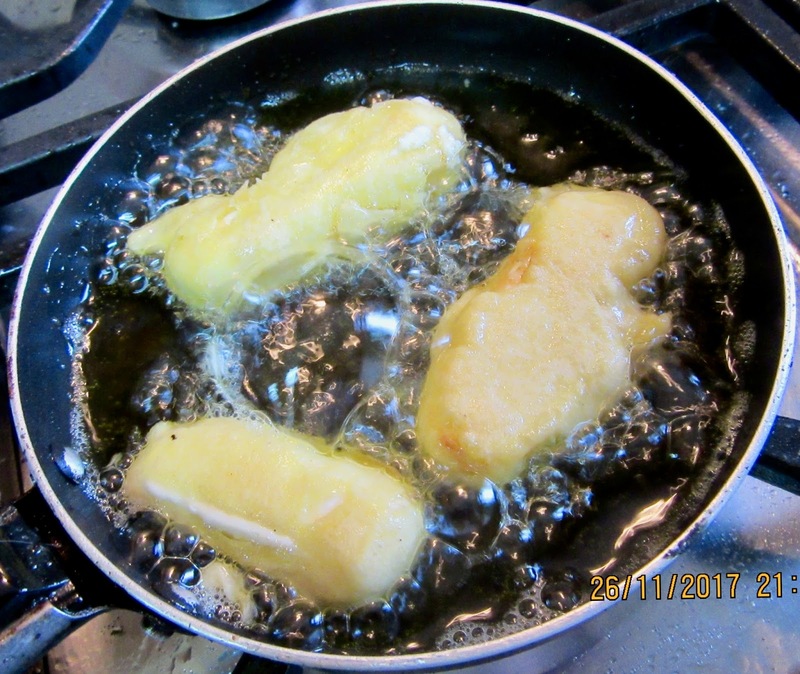 Heat lard and fry the cheese like fritters. When browned on all sides, sprinkle with sugar and eat hot, otherwise they are not good.